Lady Gaga's makeup artist has revealed the products she used to paint the star's face ahead of the 91st Academy Awards. Contrasting to the daring icy blue look she sported at the Golden Globes last month, the 32-year-old singer opted for a classic Hollywood theme at last night's Oscars, sporting youthful-looking, glowing skin and a simple eye-makeup look. The makeup artist used a variety of Marc Jacobs Beauty products to paint Gaga's face for the anticipated awards ceremony. Lady Gaga's eye makeup appeared minimal, with the exception of what looked like some silver glitter liner. And it can't go unnoticed that, despite Gaga's tears that ran down her cheeks as she accepted the Oscar for Best Original Song, her eye makeup seemed to remain perfectly in place. The trusty mascara that was used to coat her lashes was the Marc Jacobs Velvet Noir Major Volume Mascara, before which the makeup artist applied the Velvet Primer Epic Lash Primer. 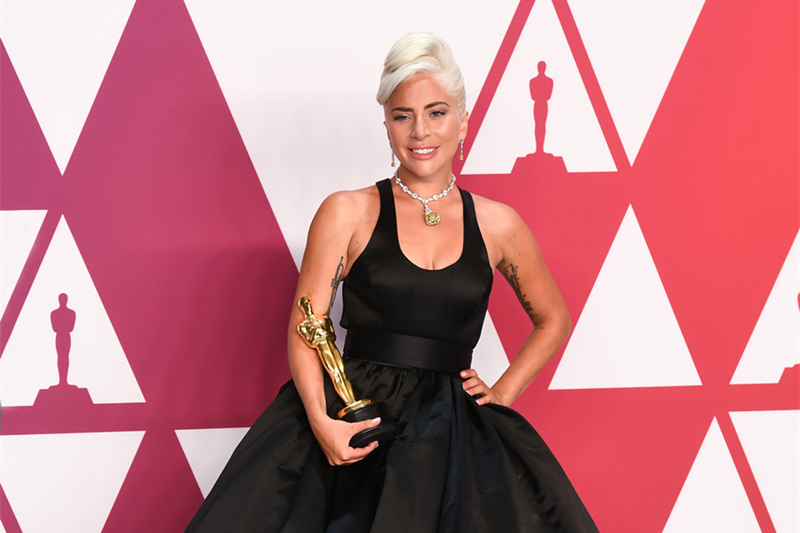 Lady Gaga and Bradley Cooper performed a passionate rendition of the hit song Shallow, which won the Oscar for Best Original Song at the awards. As Gaga accepted the award, she gave a tearful speech, during which she paid tribute to Bradley. She said: 'Bradley, there is not a single person on the planet that could have sang this song with me but you.